Just Plain Silly’s At The Merchantville Mutt Strutt! Just Plain Silly will be entertaining at the first-ever Mutt Strutt! We’ll be twisting balloons and face painting throughout this great event that benefits local animal shelters. May the Fourth be with you! Like many of you, we’re counting down the days until December and the new Star Wars movie! 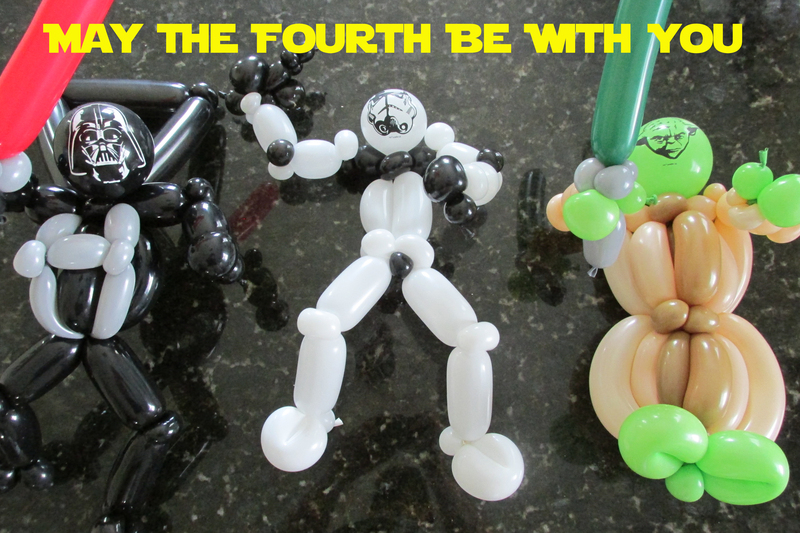 Until then, enjoy these Force-inspired balloon creations! If you’re having a space-themed birthday party, give us a call!